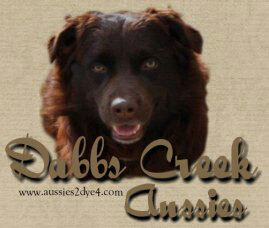 At Dabbs Creek Aussies we strive to produce exceptionally happy, healthy, quality Australian Shepherds. Our puppies come with a 2 year guarantee and parents are health tested. We breed to provide puppies who conform to the Australian Shepherd breed standard with not only beauty, but intelligence. Beautiful Healthy Happy Herding Stock Aussies. Located in Northeast Mississippi. 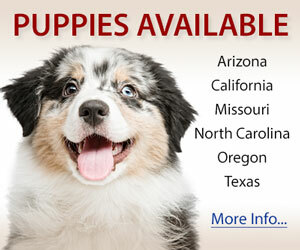 Raising Quality Australian Shepherds for 30 Years! Top Quality AKC Aussies for Show, Performance, and Family! We raise special Aussie babies for select homes. 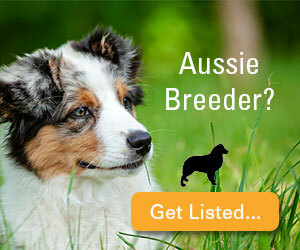 HomePlace Aussies is proud to raise and promote the amazing true Australian Shepherd!